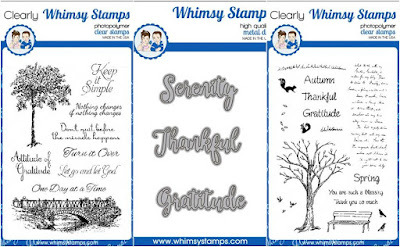 We're back for day two of the Whimsy Stamps September release. 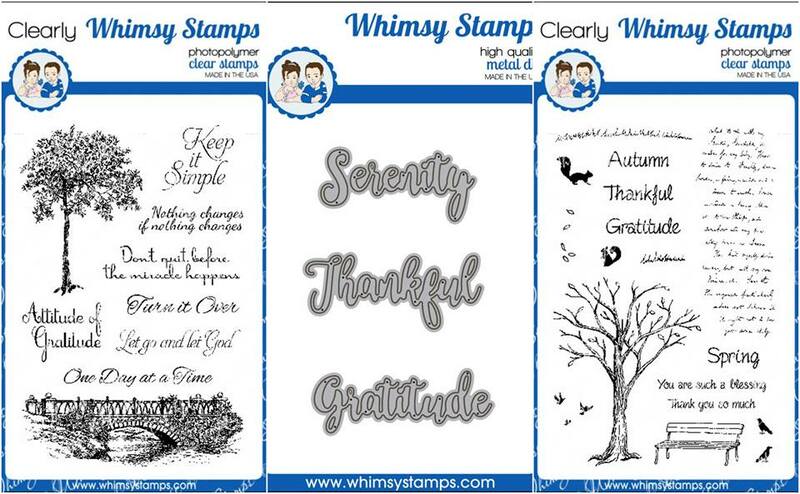 Today we are showing Falling Leaves, Steps to Serenity, and Gratitude word dies. All new products will be available for purchase on September 7th. I cut two tags, one plum and one white, and gold-embossed the tree on the white tag. I stamped Attitude of on it as well. I die cut Gratitude from pink glitter cardstock and adhered it on the tags. I layered up the two tags, added an orange bow, and popped up the layered tags on a white card base. Lastly, I added some rainbow sparkles. 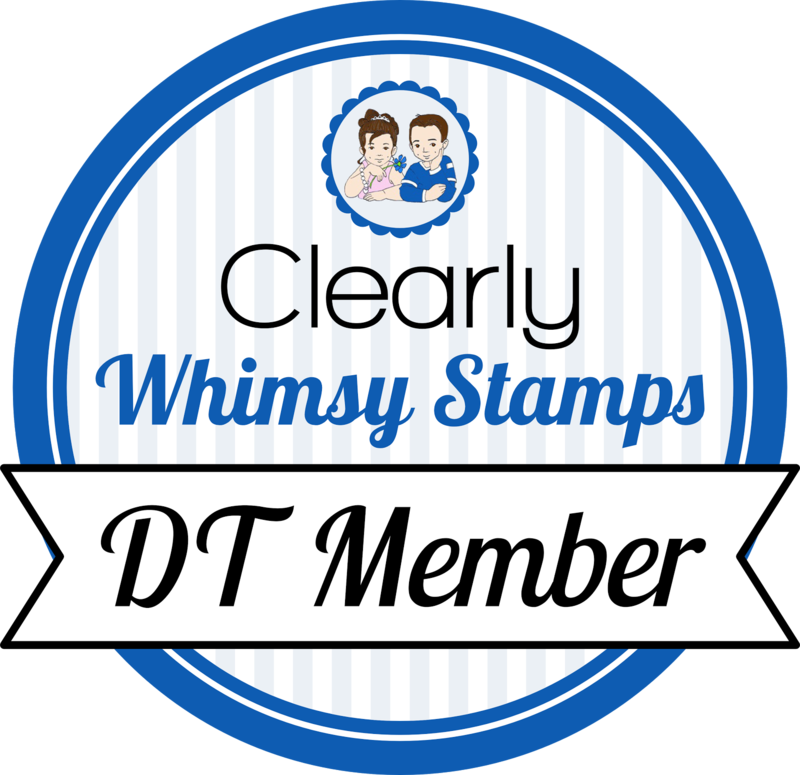 Head over to the Whimsy blog to see more.